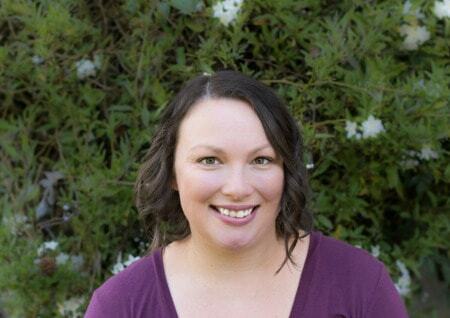 August 10, 2018 By Aileen 3 Comments This post contains affiliate links. As an Amazon Associate and member of other affiliate programs, I earn from qualifying purchases. 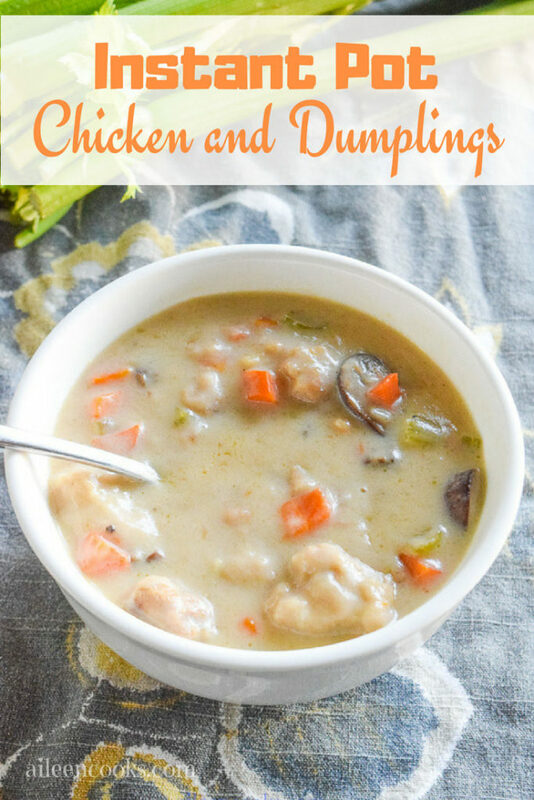 Are you looking for the best instant pot chicken and dumplings recipe? Look no further! This recipe is creamy and delicious with easy homemade dumplings! I love a good recipe for chicken and dumplings. I have made it using several different methods over the years. The first was using my trusty slow cooker. I made it many times that way. My only complaint was I would have to be home a couple hours before dinner to drop the dumplings into my crockpot. The next way I tried was on the stove top. I shared the stovetop chicken and dumplings recipe during soup week a few years ago. That recipe came out delicious, but I had to babysit it on the stove and come back and drop in the dumplings 1/2 way through. It was fine, but with three little kids, I would much rather be able to walk away for a while and do something else. Enter the instant pot electric pressure cooker. 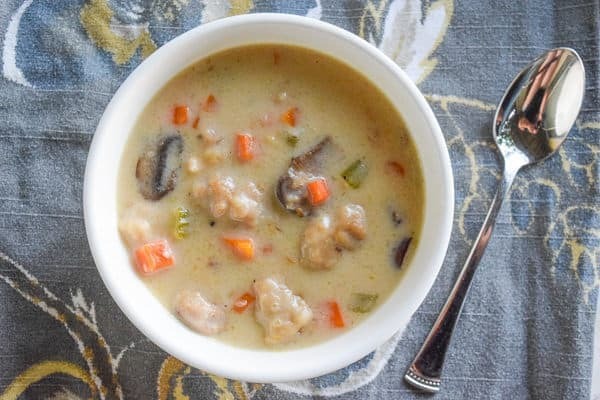 This recipe for chicken and dumplings in the instant pot is the easiest, fastest, and tastiest way to make chicken and dumplings. It still takes a bit of prep work on the front end, but then you get to walk away. When you come back, you have a big batch of comforting chicken and dumplings. There is no stopping 1/2 through to drop in the dumplings. There is no stirring. Just set it and walk away. Heck, you can even leave the house. Go on a bike ride with your kids, take a nap, read a book. Do something besides babysitting dinner on the stove. Although we are making the dumplings from scratch, this recipe does call for 2 cans of cream of mushroom soup. If you would rather avoid the processed stuff, you can make your own. 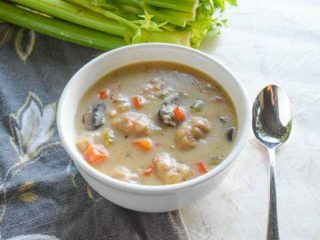 I really like this recipe for homemade cream of mushroom soup from 100 Days of Real Food. If you decide to go that route, I highly recommend doubling or even tripling the recipe and freezing the extra. That way, you have it on hand the next time you want to make chicken and dumplings in your pressure cooker. 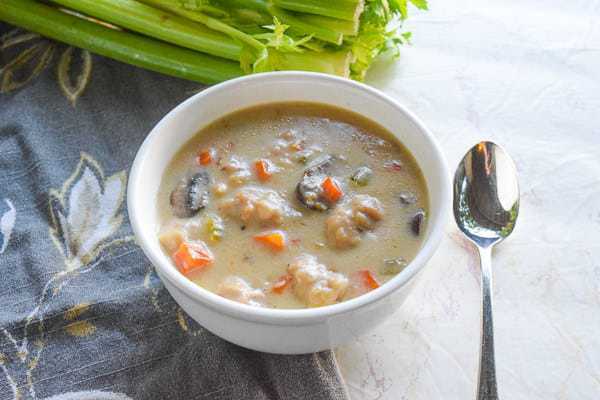 Also, if you only have a different cream-based soup on hand (like cream of chicken soup or cream of celery), you can use those in place of the cream of mushroom soup. Making homemade dumplings is incredibly easy. It takes only about 5 minutes and a handful of simple ingredients to make your own dumplings. I use this recipe for biscuit dough for my dumplings and they turn out perfect every time. What if I don’t have an instant pot brand pressure cooker? Do you have a different brand of pressure cooker? That’s okay! This recipe simply calls for cooking directly in your pot with the top off to brown the meat and then cooking on high pressure. This instant pot soup will cook the same way in your pressure cooker. What if I Want to Use Canned Biscuits? Do you want to make your instant pot chicken and dumplings with canned biscuits? You totally can! Just skip the step at the beginning for making the biscuit dough. Then, cut up your canned biscuits into 1-inch pieces and drop them on top as the directions state in the recipe. In a medium bowl, whisk together the flour, baking powder, and 1 teaspoon salt. Make a well in the center of the dry mixture and pour in the 1/2 cup milk and 2 tablespoons olive oil. Mix together with a fork until combined. Set aside. Set your instant pot to saute and wait for it to get hot. Pour in the remaining 4 tablespoons olive oil. Add in the chicken thighs, celery, carrots, onion, and baby bella mushrooms. Cover with a regular pot lid and let cook, stirring occasionally, for about 5 minutes. The carrots should be soft. Turn off your pressure cooker. Remove the lid and pour in the chicken broth, cream of mushroom soup, 1 cup milk, red pepper flakes, black pepper, and salt. Mix together. Rip the dumpling dough into 1 inch pieces and toss on top of the soup mixture. Close your regular pressure cooker lid on top of your instant pot and set to sealing. Turn on your instant pot. Set to high pressure for 15 minutes. Natural Pressure Release and serve immediately. 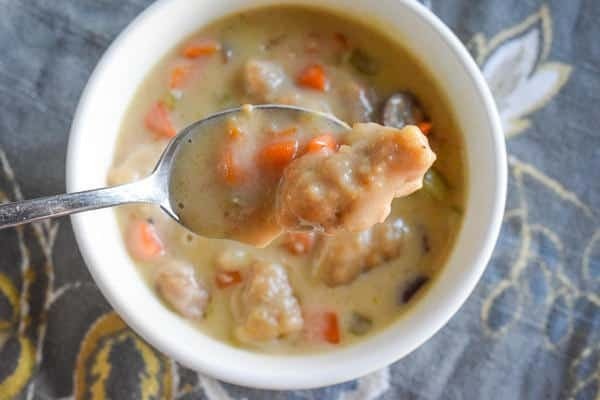 Instant Pot chicken and dumplings are a perfect comfort food dish that warms you up on cool evenings. It’s filling, satisfying, and makes for great leftovers! When do you add the dumplings? How long do they get cooked for? Thanks. Hi Donald. I apologize for the oversight in the instructions. The dumplings go in at the same time as the rest of the soup ingredients. It all cooks together. I hope you enjoy the Chicken and dumplings! This was so good! And so easy! It’s going in our regular dinner rotation for sure! Also, I did you canned Cream of Mushroom and I skipped another step by using Cascadian Farm frozen Mirapoix mix and pre-washed and chopped mushrooms! The only thing I had to cut up was garlic and chicken! Doesn’t get any faster than that!